Bayyinah Institute is the brainchild of Ustadh Nouman Ali Khan, a pioneering, influential American Muslim who grew up in New York City, with the aim of spreading the universal message of Islam. 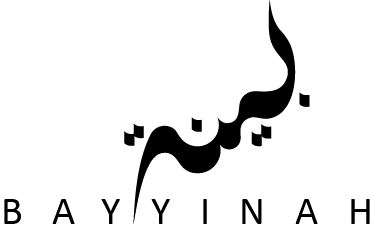 Founded in 2005, Bayyinah is currently based in Dallas, Texas. The institute’s mission is to make learning the Arabic language and the study of the Quran accessible worldwide in a way that is innovative, accesible, and approachable. Bayyinah’s founder believes that using modern technology and cutting-edge educational tools is key to encouraging an appreciation of the Quran and the Arabic language for those who want to improve themselves by drawing nearer to Allah through study. To make this vision a reality, Bayyinah offers a variety of full-time, part-time and self-paced learning programs with professional scholars and specialists. Bayyinah leverages the power of media to deliver high quality content, teaching texts to thousands of male and female students from all walks of life, across the globe. The Access Program delivers online courses with lectures and guided TA sessions. It’s suited perfectly for part-time learners balancing busy schedules with Quranic and Arabic studies all over the world. Since the current semester is underway, registration to the Access Program is now closed. If you would like to be notified when registration opens, please subscribe to the newsletter. Offered each summer in Dallas, Texas, Bayyinah’s Quran Intensive is a popular 30-day Arabic and Quran studies program for the whole family. It combines an intensive Quranic Arabic curriculum during the day with inspiring Quranic appreciation at night and is a great way to spend the summer vacation! If you would like to be notified when registration opens, please subscribe to the newsletter. Children, adults and curious non-Muslims are all welcome to sign up for these engaging one or two-day seminars presented by Bayyinah’s instructors across the United States and internationally. The lightly structured sessions and casual atmosphere are a fun way to spend the weekend mingling with like-minded people wishing to learn more about Allah’s word. Subscribe to our newsletter to learn more about upcoming seminars.